Is it the sugar addiction? Resisting addiction. Seriously?! It is my loose conclusion that we human creatures seem to gravitate to one kind of addiction or another. Some addictions meet with societal approvals, whereas other addicitons do not. Most addictions are not in our best interests, but we seem to under appreciate the addictive quality of most things that people wind up addicted to … so to speak. So of course, we know about drug addiction, alcohol addiction, gambling addiction, shopping addiction, spending addiction, and one can build a growing list of addictions. It seems to me that people may easily trade one addiction for another without an appreciation that they have done exactly that; without even knowing they may made a trade which is likely going to be yet another addiction to fight off. In my very limited experience of life as a human being, and not accredited with anything except curiosity, I don’t speak from a scientific, expertise, and often not even a knowledgeable place. More that life experience has showed me a few things that seem to create a broader picture for my to consider. Recently, adding paleo way of eating to our lifestyle, and we are both over 60, the subject of sugar and carbohydrates has come into our lives in a grand manner! Therefore the subject of diabetes, particularly diabetes II is on the forefront of our minds. In sticking to the Paleo way of eating, the activities we attend, many sharing potluck type meals or snacks or appetizers has given me pause to consider ‘moderation’. The recommendations of paleo suggest we can have some moderation in our foods, even cheat days, however, I am inclined to think that we need to stick to a more purist way of managing food so as not to introduce the ‘addictions’ part back into our way of life. Quoting from the article Why Do Diabetics Resist the Paleo Diet?. Now, imagine a heroin addict who is advised to control the addition by sticking with “moderation” because of course, everything is good in moderation right? I’m not so sure we (my husband and myself) can afford moderation exactly because I think it reintroduces addiction, to the things we have deemed not in our health interest = sugar, carbohydrates, grains. It is well known to me that people using the 12 Step alcoholic addiction program have going for them a few things; community, a sponsor, and an almost purist belief of not falling off the wagon, even once. Alcohol addiction, yeah, bad thing – affects judgment, affects metabolism, (do you see the ‘sugar’ addiction in that one!) and not an acceptable socially redeeming addiction. 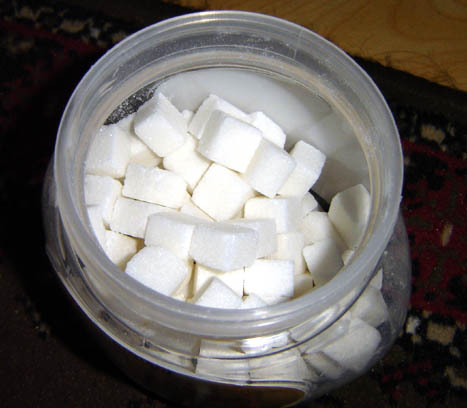 Yet sugar addiction seems to be a more tolerated socially acceptable addiction – well that is unless, of course, your body is overweight in it’s sugar and carb addiction. Then there is yet another subject for another time in that an overweight body has an attached social stigma. Communities that I am aware of that prescribe themselves as tea totalers, in other words no alcohol of any kind, do permit sugar in unlimited quantities, ie, soda, colas, breads, desserts, candies, you name it, sugar fixes of many kinds. Seems to me that when alcohol breaks down in the body, sugar is one of the big factors, and so is it the alcohol or is it the sugar? I think I want for us to work ourselves back into not giving ourselves permission for moderation in our paleo food intake, preferring for myself to think about the addictions that don’t suggest moderation, ie, alcohol, drugs, and the heroin example as described in the above article. This entry was posted on February 20, 2015 by Lietta in addiction, paleo recipes and tagged addiction, carbohydrates, diabetes, sugar.